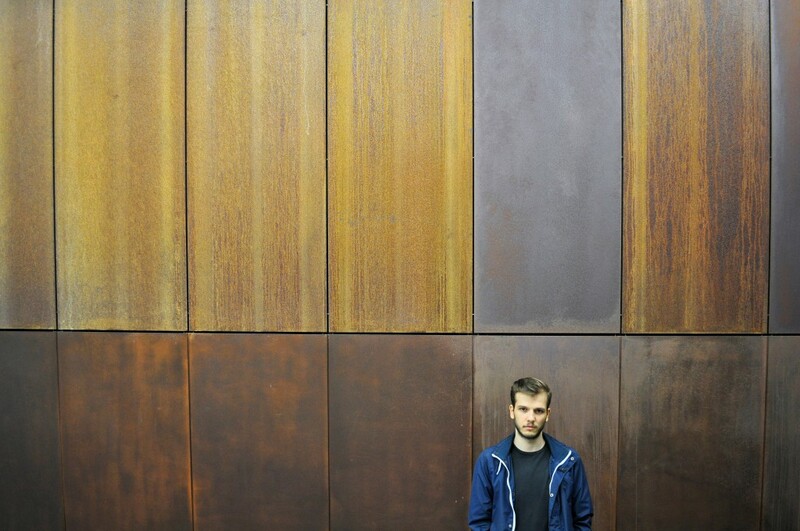 Gábor Lázár works in the field of sonic arts and electronic music and is based in Hungary’s capital, Budapest. He studied electronic music and media arts at University of Pécs. Gábor’s works are real time recordings of specific combinations of synthesis and compositional techniques. His early works were released as a split tape with Russell Haswell in 2013, his debut album ILS followed on Lorenzo Senni’s label Presto!?. He was commissioned for an EP by Boomkat’s label The Death Of Rave resulting in the well-received EP16 in late 2014. Meanwhile, Gábor started to collaborate with Mark Fell resulting with a 2LP album released on The Death Of Rave in May 2015. He was nominated for SHAPE by UH Fest and was also one of the artists performing at the recent ICAS Festival in Dresden. Gábor Lázár: I think when it comes to my generation, electronic music is quite an accessible form to start with, because most of us grew up using computers and it’s natural to try to make music with software and VST synthesizers. I spent years making different kinds of tracks using software like Logic and all those timeline based applications and then I came across MaxMSP. That changed everything. You studied media art at university in Pécs. How did this influence your view and work with sound? GL: University was a good thing. It was a mixture of aesthetic, music and visual art studies, somewhere between an academic and non-academic approach, but the best thing was the time itself spent on doing what I thought was good for me. I actually started to develop my music there. Some of the tracks which appear on the split tape with Russell Haswell were recorded then. There were a lot of different courses like film aesthetics, a bit of fine art, MaxMSP courses, workshops, etc. So there were a lot of perspectives to pay attention to and all these influenced me simultaneously in some way. You have released your debut album on Lorenzo Senni’s Presto!? imprint and collaborated with the likes of Russell Haswell and Mark Fell. All these producers deconstruct electronic/dance music. Do you see affinities and parallels between your work and theirs? Is deconstruction something that interests you in sound or arts in general? GL: We are operating at the core level of sound and music, it could be a major common ground besides the many other different similarities. Your music is also minimalist in a certain way and works with repetition. Your last release had a subtle groove and a certain approachability though. Is the concept more important to you, or the result and the effect on people? GL: In my way of thinking the concept of what I’m doing and its aesthetics are in close relationship. When you have a concept of how to play an instrument, you already define the aesthetics of your work. It also works in different ways because we can approach this relationship from the other direction. If you are looking for a specific aesthetics and you want to work in that field, then you are going to choose the right techniques to be able to create that effect. I dedicate 50/50 percent to each aspect. Could you talk about your latest album, the collaboration with Mark Fell? GL: Mark came to Budapest for five days and we made a lot of recordings over three days. We had three hours’ worth of tracks and selected some of them and edited it down to 50 minutes. The album is a mixture of our techniques and sounds. It’s been released on Boomkat’s The Death Of Rave label in May. In terms of music production, what element of sound and work with sound is most interesting and profound to you? GL: There are no elements, there is material which is altered into different directions using my techniques. What interests me is that even if I work with just one type of sound or let’s say timbre, it has many possibilities. Maybe it looks like I’m limited by the material, but it’s not true because this is what pushes me to break through my own limits. The question is how to keep it organic in terms of development over the years. I’m basically trying to give different answers to my own questions. Therefore sometimes it goes into danceable music and sometimes it becomes rhythmically quite abstract, but I think this is a kind of dualism which is necessary to keep it interesting.